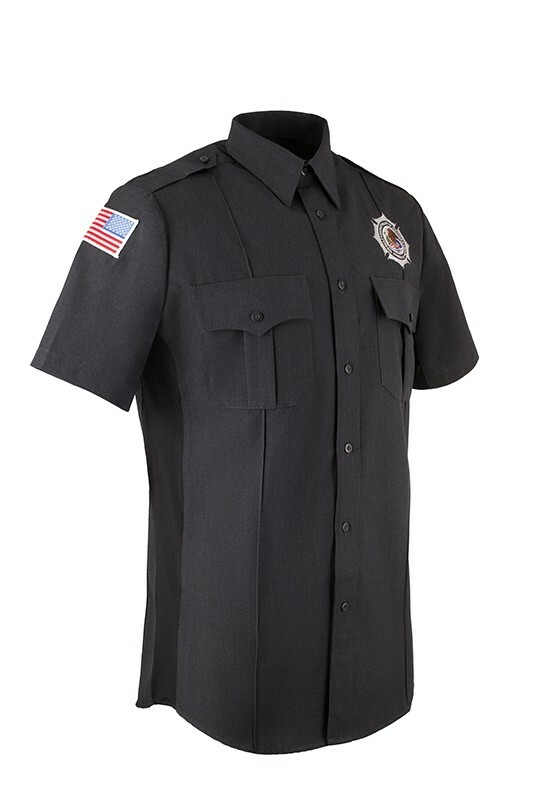 This is a finely tailored, high-end law enforcement shirt. Charcoal Gray. Long sleeve. 4.2 oz. 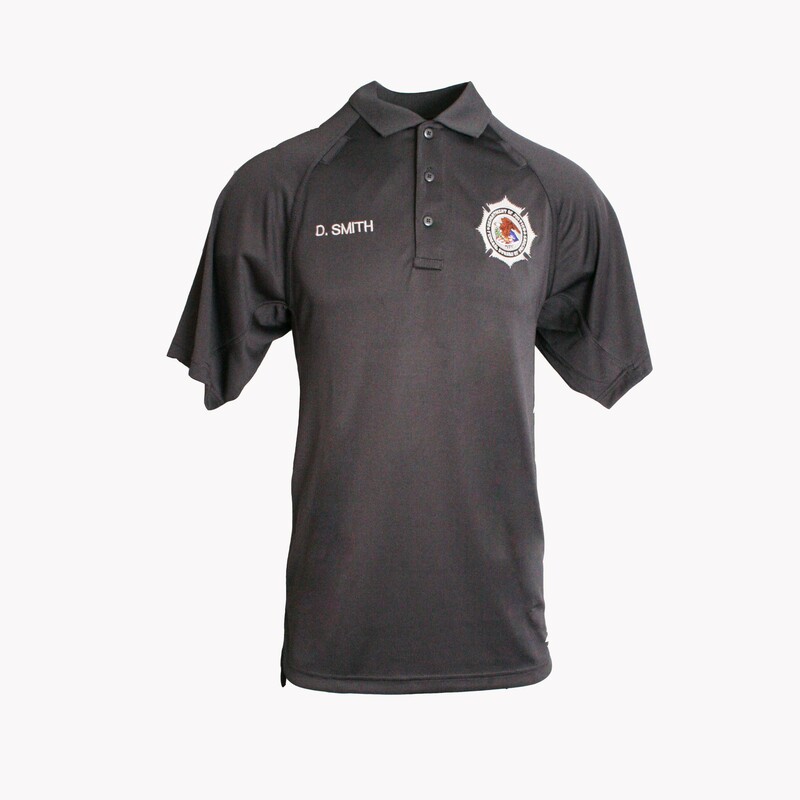 65%/35% polyester/rayon wicking fabric blend that helps to keep you cool. Teflon fabric coating provides exceptional stain resistance and a easy-care permanent press finish. Full front zipper closure is concealed by the faux button placket. For more information, see below. 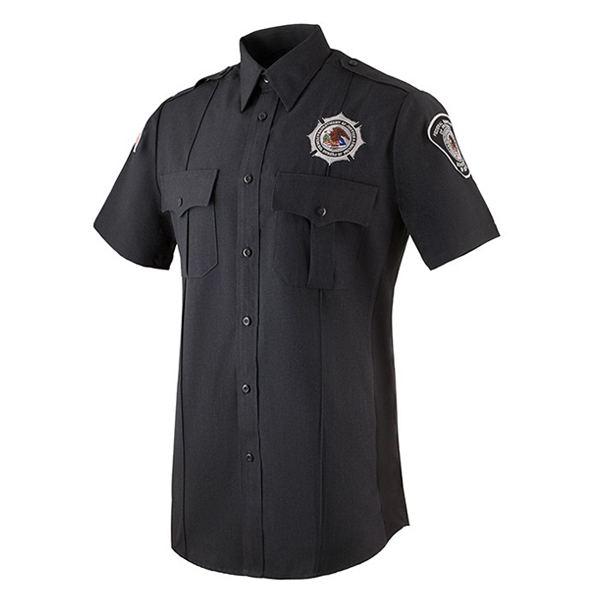 This is a finely tailored, high-end law enforcement shirt. Charcoal Gray. Short sleeve. 4.2 oz. 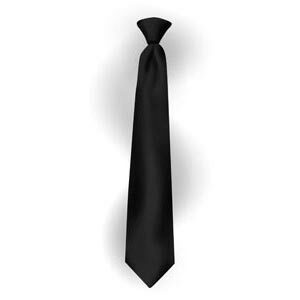 65%/35% polyester/rayon wicking fabric blend that helps to keep you cool. Teflon fabric coating provides exceptional stain resistance and a easy-care permanent press finish. Full front zipper closure is concealed by the faux button placket. Unique and functional white stretchable knit vented fabric inserted into each side seam provides both a tailored fit and extra cooling ventilation along the entire length of the shirt. You will truly appreciate this feature. 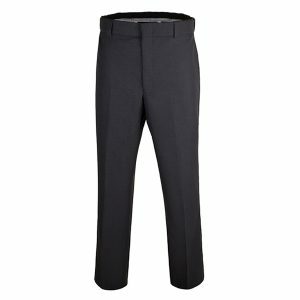 Two front pleated chest pockets and flaps that allow for two types of entry for easy of access. Sewn-in military creases provides a very professional appearance. Two piece bi-swing armholes offers a more comfortable range of motion for your arms. Fully structured banded collar with a wicking lining to keep that area free of moisture. Collar stays are manufactured into each collar tip to assure that the collar stays down and the collar tips stay pointed. Button-down shoulder epaulets. Embroidered logo, Agency emblem and attached flag per BOP specification. 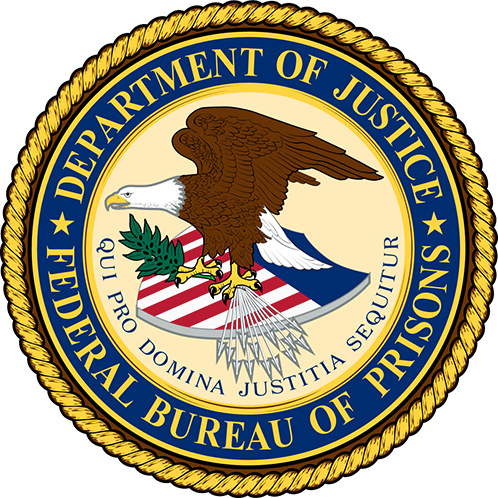 during regular business hours (8:00AM to 5:00PM Eastern Time, Monday through Friday). Copyright @Unitec Distribution Systems - All Rights Reserved - Images May Not Be Used Without Written Authorization.